This region stands apart from the rest of Gujarat for its combination of natural and cultural diversity. The foothills of the Western Ghats enhance the beauty of the Dangs with its vibrant tribal communities and thick forests. 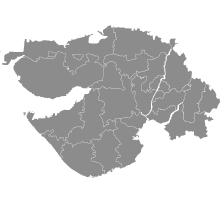 The verdant districts of Valsad and Navsari dominate the state's horticulture industry and reflect a distinct Parsi influence. Surat, Gujarat's second largest city, was once a flourishing port known across the old world. Today it thrives as a diamond polishing and textile center. The Narmada River, today popularly linked with the Sardar Sarovar Project, has ancient associations as an area of spiritual pursuit. It flows through the districts of Narmada and Bharuch, which abound in ashrams and temples. Admire the imposing mausoleums that jut out amidst daily life to tell of European trade in Surat’s flourishing past. Explore the thick jungles of the Dangs, which pulsate with wildlife, tribal culture and stunning natural beauty.